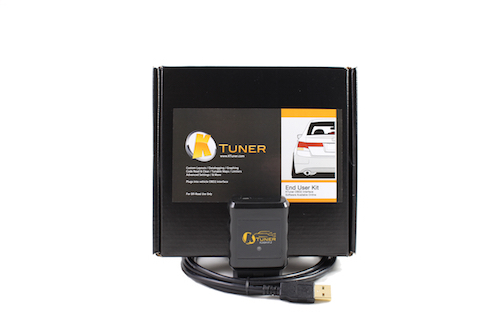 KTuner Flash-based system for 2008-2012 Honda Accord 4 Cylinder models. The KTuner Flash system allows you to reprogram/reflash your stock Honda ECU directly over your OBD2 diagnostic port. No need to remove your ECU, etc. Simply plug the KTuner Flash system into your OBD2 port under your dash and reflash or tune your car using the KTuner software. Using the KTuner Flash system, you can retain all of your factory drivability, emissions, and reliability, while still being able to tune your engine for modifications (ie: intake, exhaust, cam upgrades, etc). The result will be a much better running engine with increased power! What is included with the KTuner Flash system? What does the KTuner software interface look like? Do I need anything else to use this system? * A laptop computer running WindowsXP or newer operating system. * Internet connection (for registering the system to begin use).